4 Bedroom Detached House For Sale in Milton Keynes for £525,000. 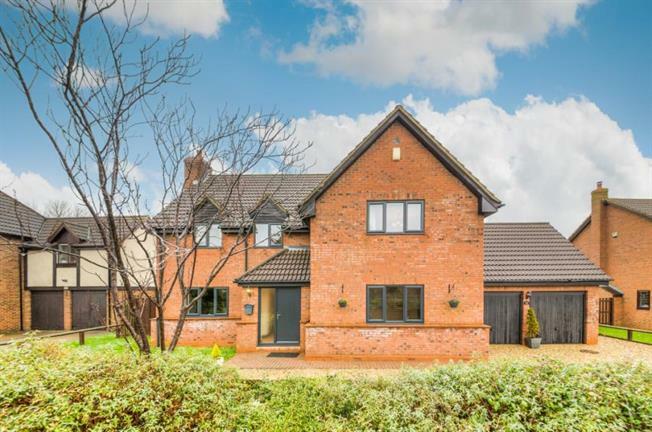 A fantastic, individually designed, detached family home. The property boasts a large, private rear garden, double garage with private driveway for several vehicles and a recently re-fitted gas to radiator central heating system. The accommodation briefly comprises: Entrance hall, downstairs cloakroom, lounge with feature fireplace, dining room, study/family room, kitchen/breakfast room, utility room, first floor landing, master bedroom with en-suite, guest bedroom also with en-suite, two further double bedrooms and family bathroom.